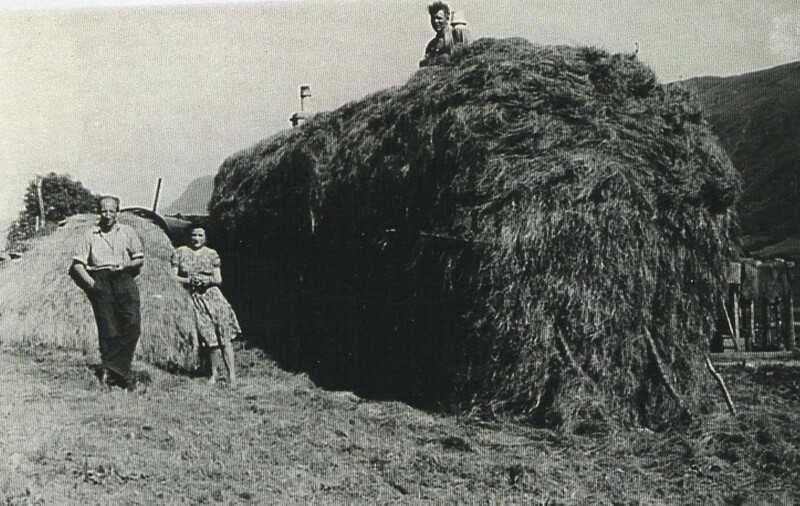 Making hay at Cuil Beag. Mrs Helen Luke (nee McNair). 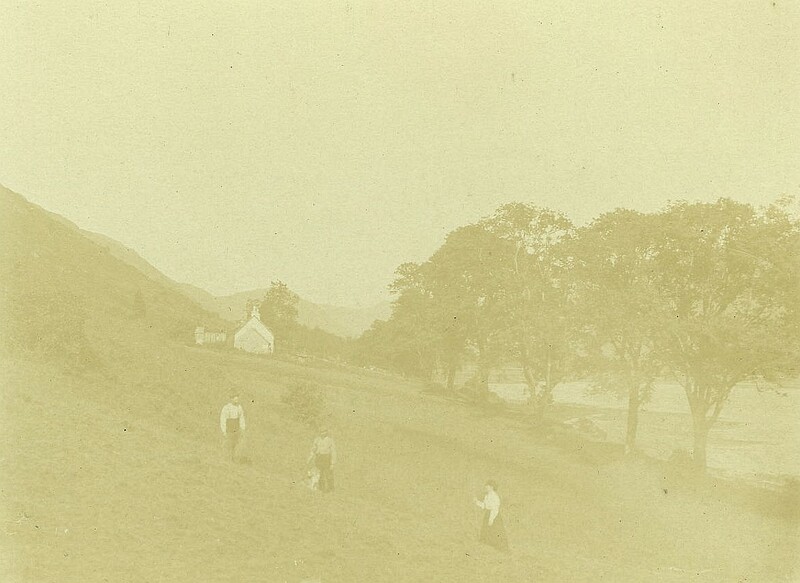 Photograph returned to owner. 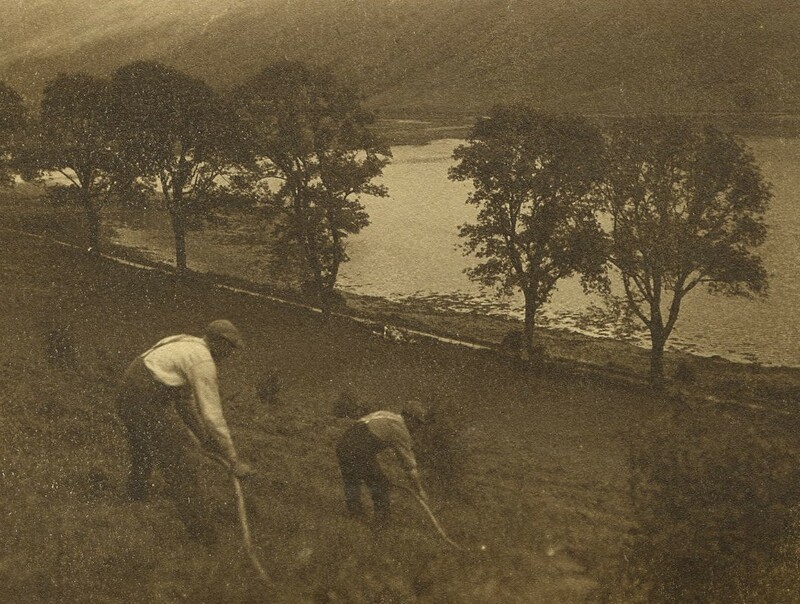 Making hay at Cuil Beag The row of trees were planted, to commemorate the end of the Crimean War. 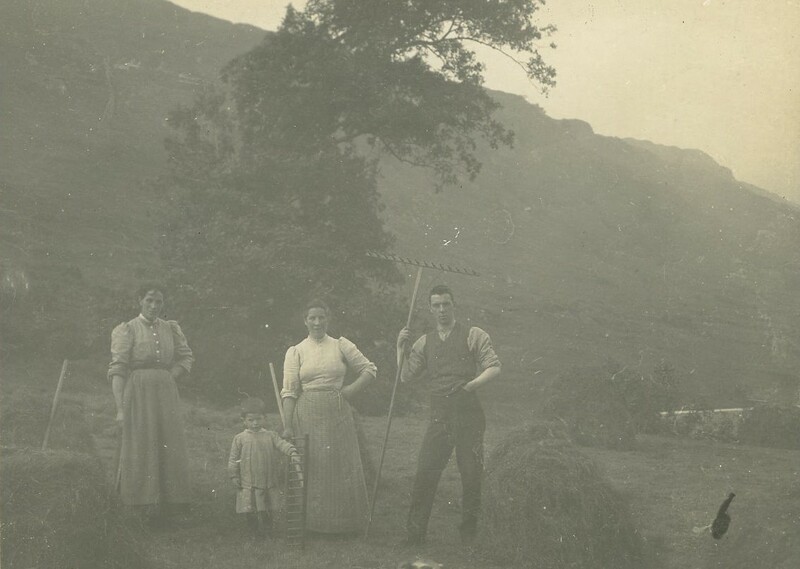 Photograph returned to owner. Extension to the grave yard. 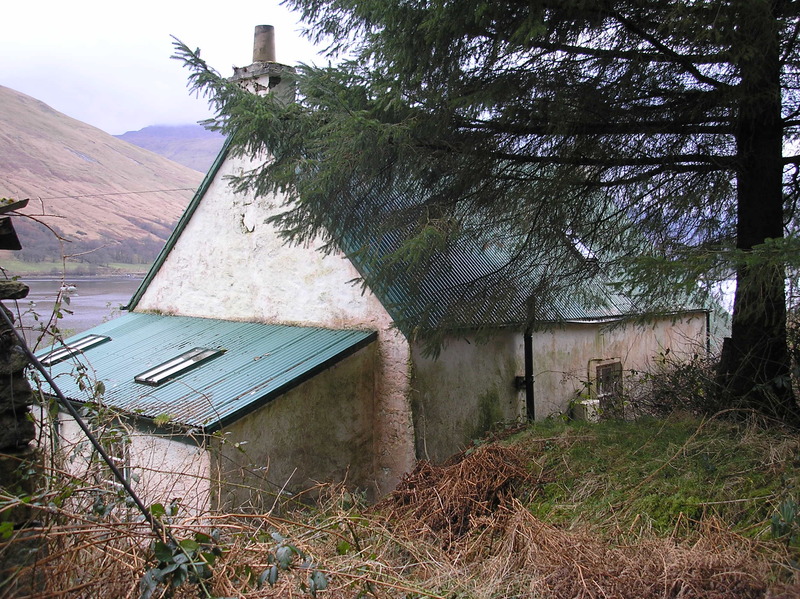 The two structures at Cuil Beag are already in existence at the 1841 census, at which time they are listed as two houses, the first as Cuil Beag. Two buildings are also shown on the 1st Edition OS. 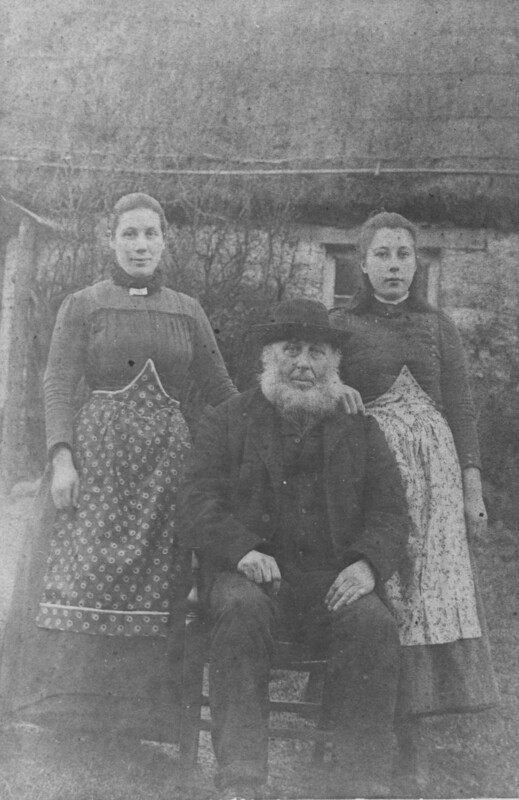 The census records list the site as having two houses up to and including 1901, and thereafter only one house is listed, the eastern house having been abandoned. A M Vicai (Mc Vicar? 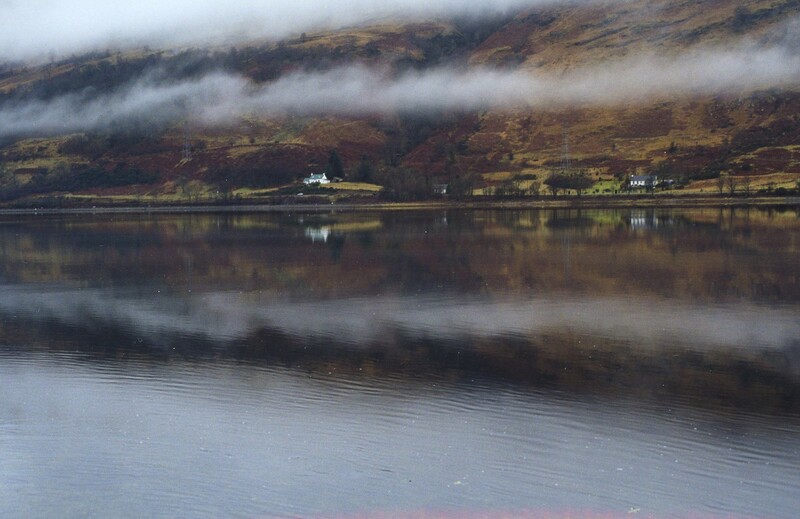 ), Clachan Beag	The name CUIL BEAG means little Nook or corner. As a compound may be accepted the name applies not to a corner or Nook, but to the houses so situated. 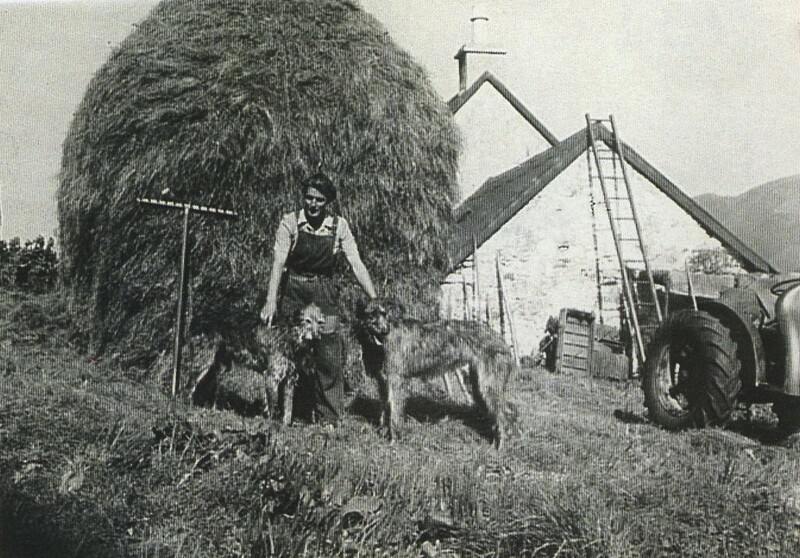 Two small cot houses on the farm of Cuil. 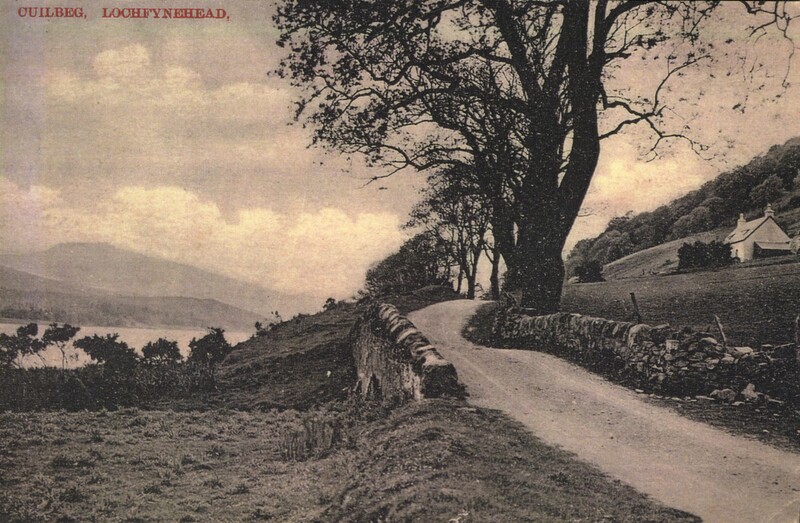 Immediately south of Clachan Beag. The property of G F H(?) Callander, Esq. [of Ardkinglas]. Ordnance Survey, 1871, Name Book for Sheets XCIX (99), CXI (111), CXII (112), CXIII (113), CXIV (114), CXV (115), CXXIV (124), CXXV (125) and CXXVI (126), Argyllshire, 6inch scale, (21/04/1897). The eastern of the two houses has long since ceased to function and is now a ruin although its western part has been retained and partly roofed over to form a garage. 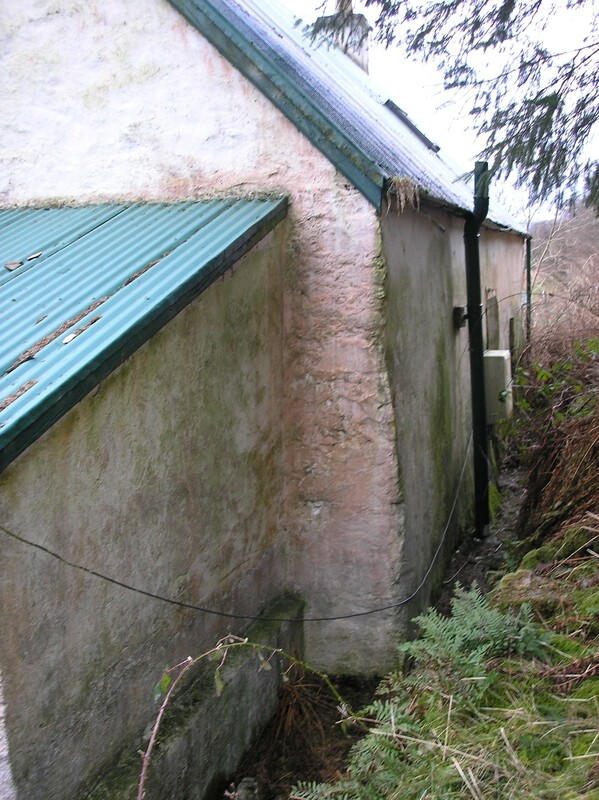 The original W gable wall still stands to a fair height. 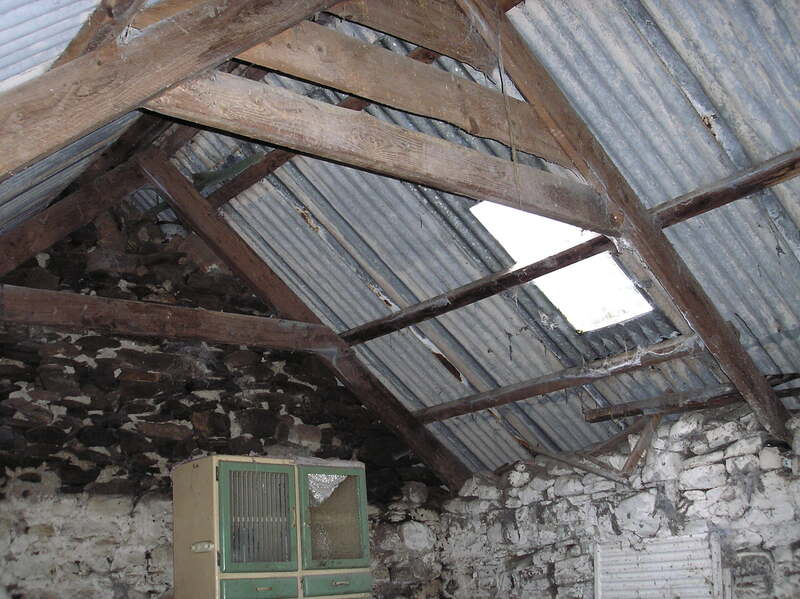 The existing single-pitched asbestos garage roof runs down to the E. The E wall of the garage is founded on a concrete footing and built around a timber frame that re-uses older timbers; it is clad externally in hard-board and asbestos sheeting. The original structure was clearly handsome. It is rubble-built and where dressings survive (quoining at the outer corners, particularly to the W), this is formed of very substantial blocks of roughly hewn granite. At the SW corner the eastwards return represents the first and only surviving part of the principal frontage; this short section of remaining walling terminates at 3 dressed stones (of schist and roughly hewn granite), evidently the W jamb of a former window opening. The construction generally is of very large-slab like pieces of schist, mortar bonded with schist pinnings. Upper corners to the W - here the upper coining is secondary, part of the garage construction, and there is just the hint of the silhouette of the original gabled wall head remaining in this area. 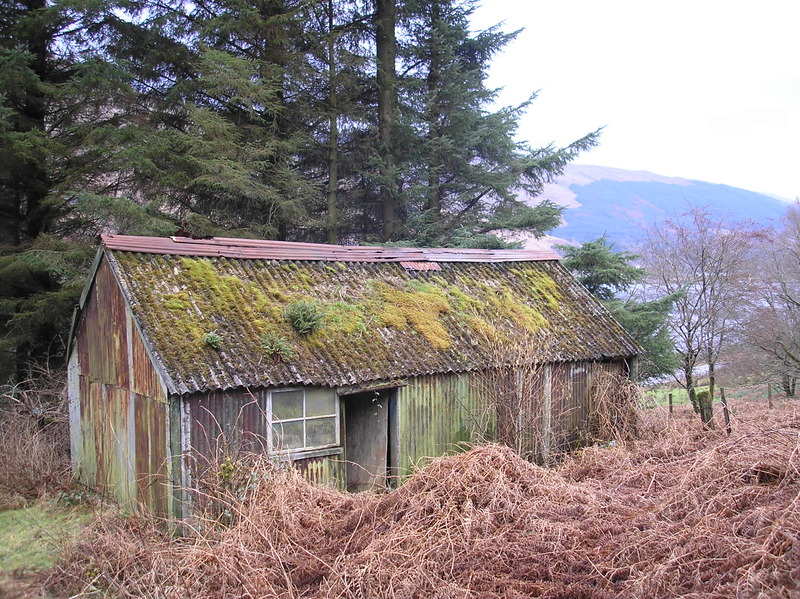 What remains suggests that the pitch of the gable was quite low; this may suggest the structure is relatively early, perhaps of the beginning of the 19th century. Within the present garage interior features survive within the W gable wall – a central fireplace defined by roughly squared blocks but lintel gone, and a press recess on its S side. A hearthstone remains. 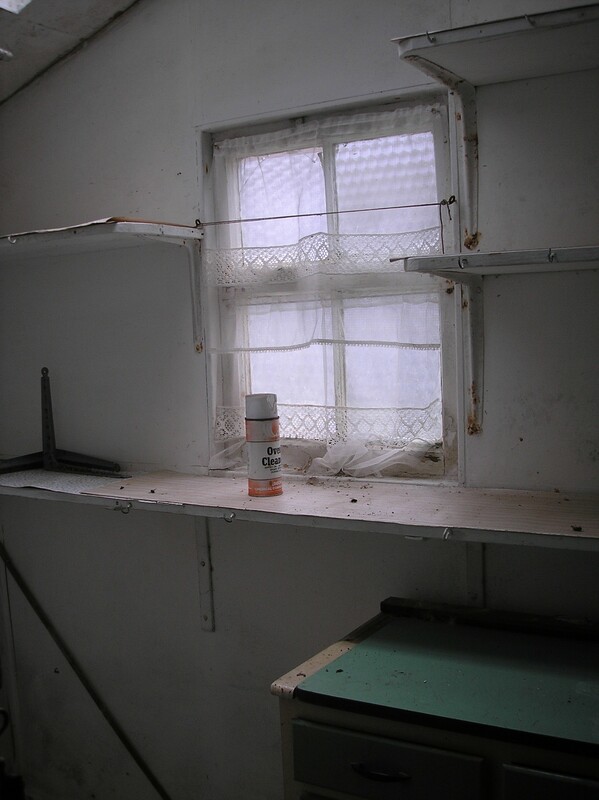 Traces of interior limewash survive in many areas. Parts of the early masonry fabric of the N and E walls also survives, but now only to a height of about 1.5m – overgrown and without obvious evidence of major features. The existing house to the W of the ruin is still fully roofed and in relatively good condition - Jenny Speirs, who used to live here, moved out only three years ago (i.e. 2004-5). 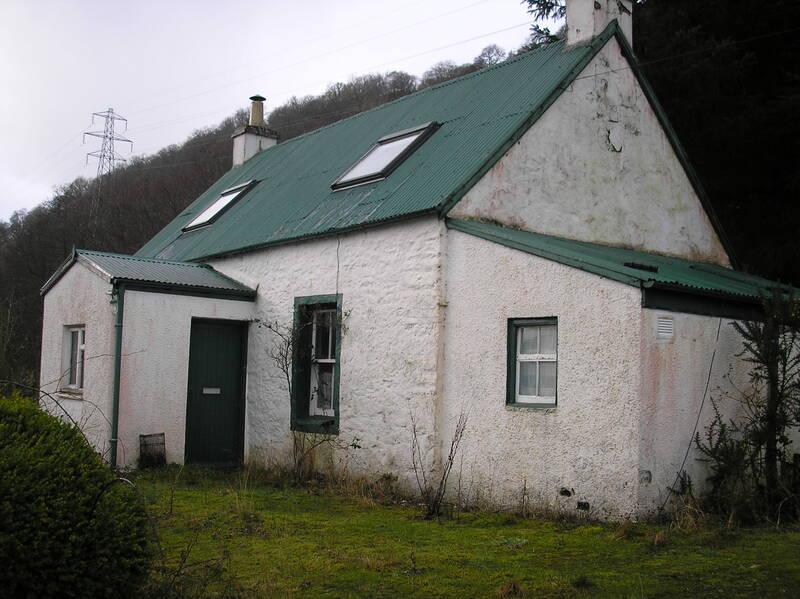 It consists of a cottage with out-shot kitchen to the E and a byre against its W end. 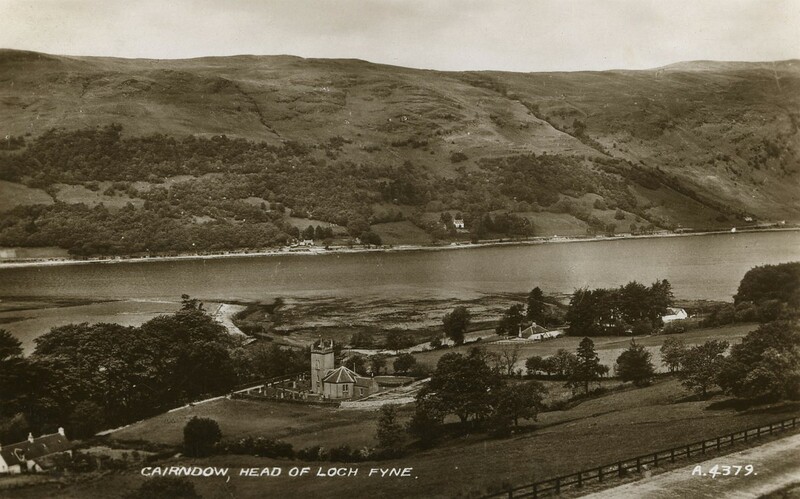 The main house is of three bays and 1½ stories, whose principal elevation faces S to the loch. There is a secondary (relatively recent) porch, which is rendered; a low, double-pitched green crinkly tin roof over. 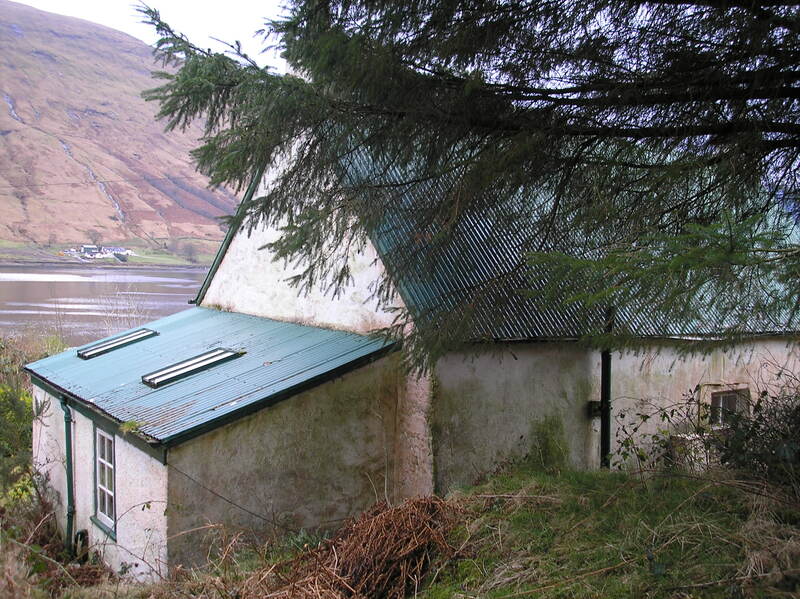 The byre and the cottage itself both have green crinkly tin roofs. 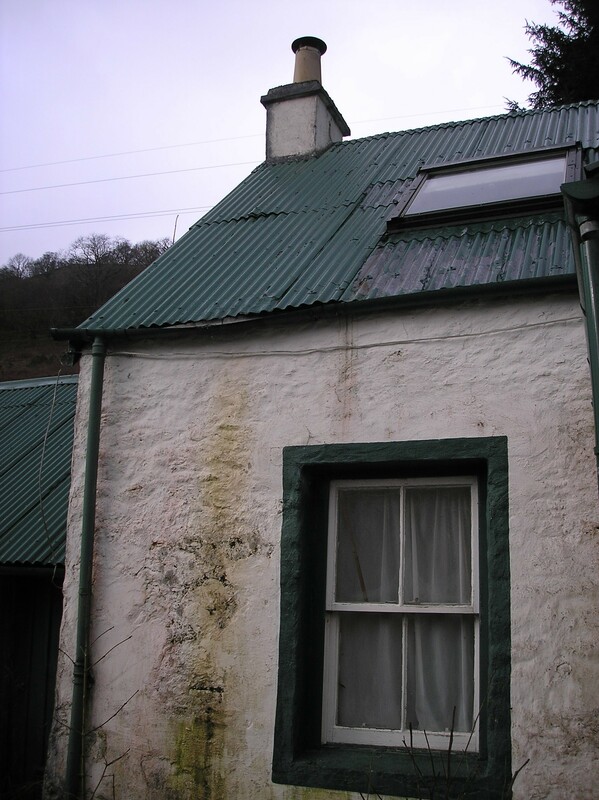 The cottage is rubble-built and its original finish is still visible in many areas with early limewash visible below some later layers of masonry paint. 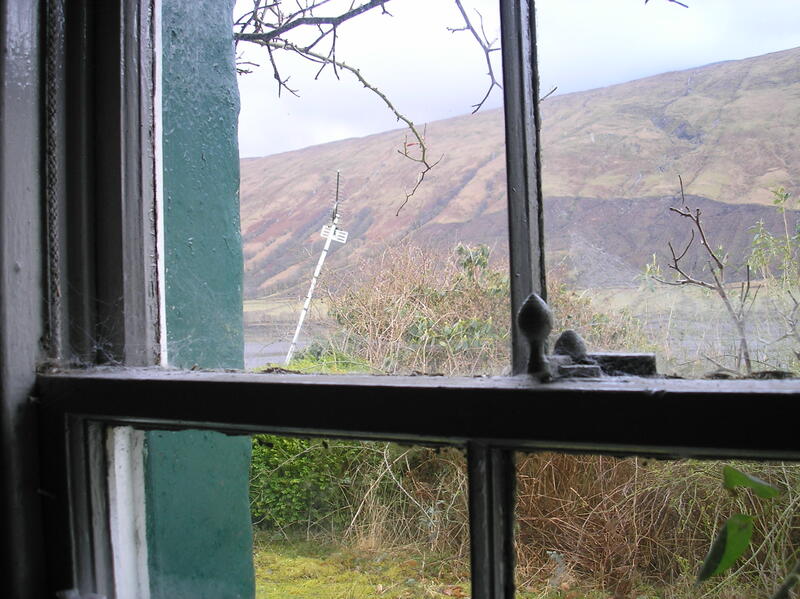 Windows are edged in green. The porch (according to John MacDonald) was added early 1980s. The existing phalix windows were inserted by Nigel Calander in about 1980. 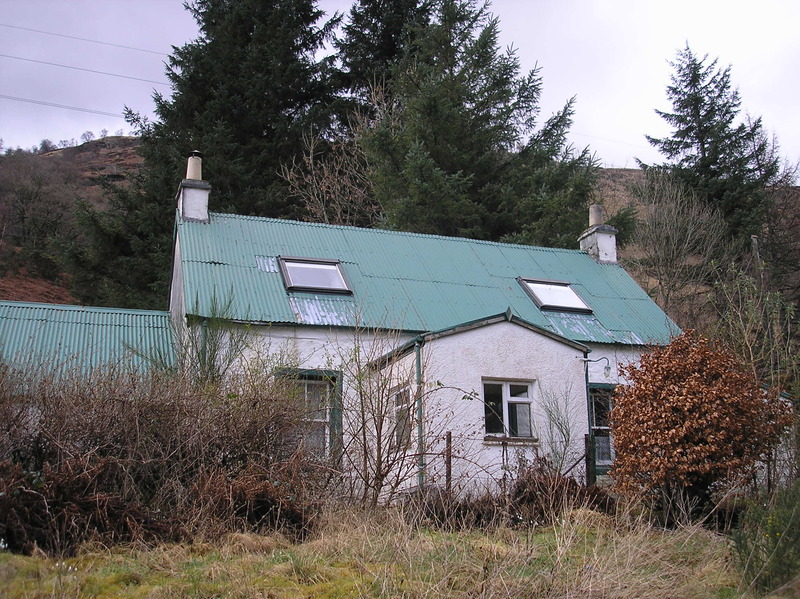 The cottage now is suffering slightly from neglect, but is otherwise a very well preserved and typical example of an estate cottage of early-mid 19th century date. 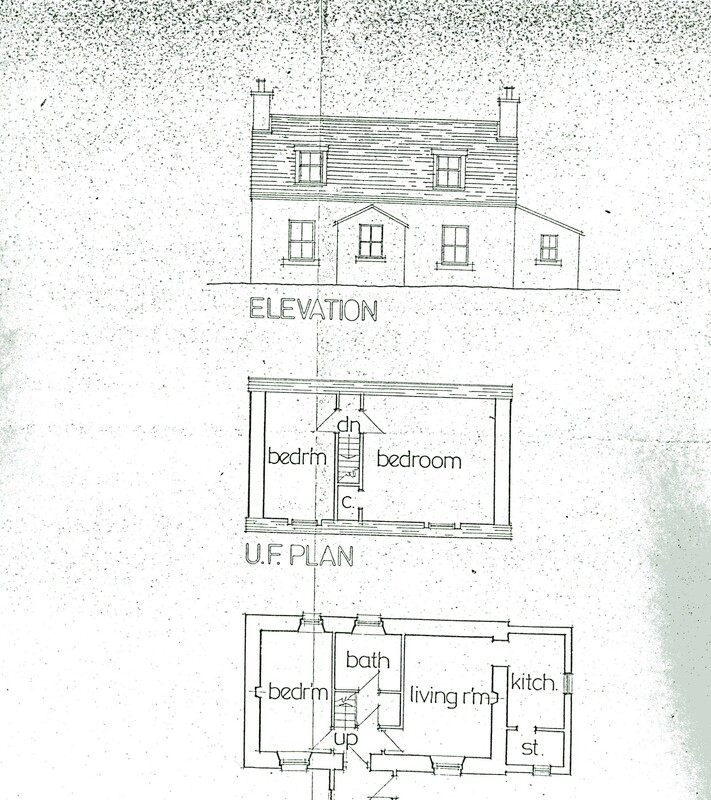 As stated it is three bays in plan, with a central entrance and single windows on either side. These openings have no raised margins, the lime finish simply having been taken around the arises. 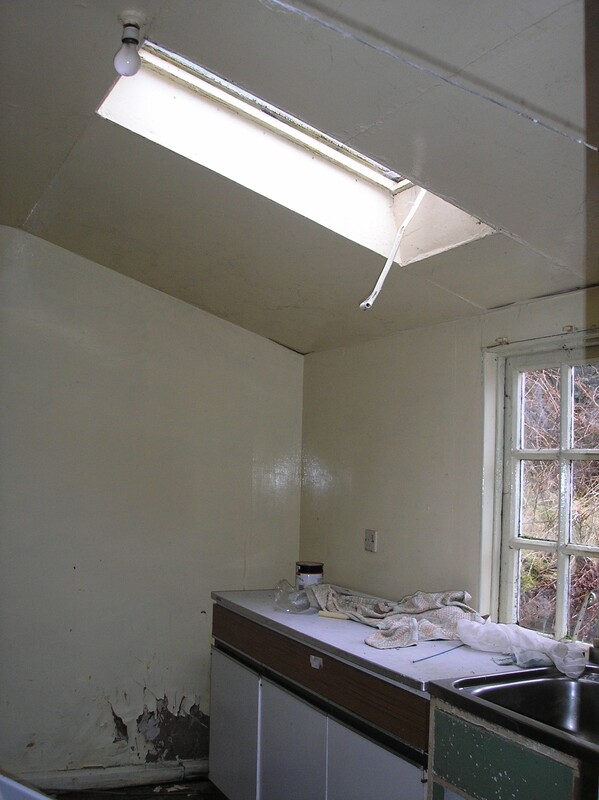 There is also a small single pitched roof out-shot against the E gable; this is accessed internally by a door in the E wall, offset to the N. The two main ground floor windows are sash and case, two above two. These both appear to be original and have characteristic Victorian gothic mouldings and window catches - brass with beehive knobs. These two windows are deeply splayed internally. Within the E room the lower window ingo is boxed in with match boarding – 3” vertical tongue in groove boards, with a central door and shelving within. In the W room the lower window ingo is shelved; this looks like more recent work. Internally this is an excellent example of how these buildings were arranged, very similar in plan to Cuil Cottage, further to the W along the loch shore. Through the front door one enters a very small hall-vestibule, wooden floored. Opposite and slightly offset to the W is a straight flight of stairs up to the upper level, this retains its original plank and batten door (5” or 6” tongue-in-groove boards detailed with a narrow bead). Slightly offset to the E is an entrance into a further small vestibule area, beyond which there is a bathroom. 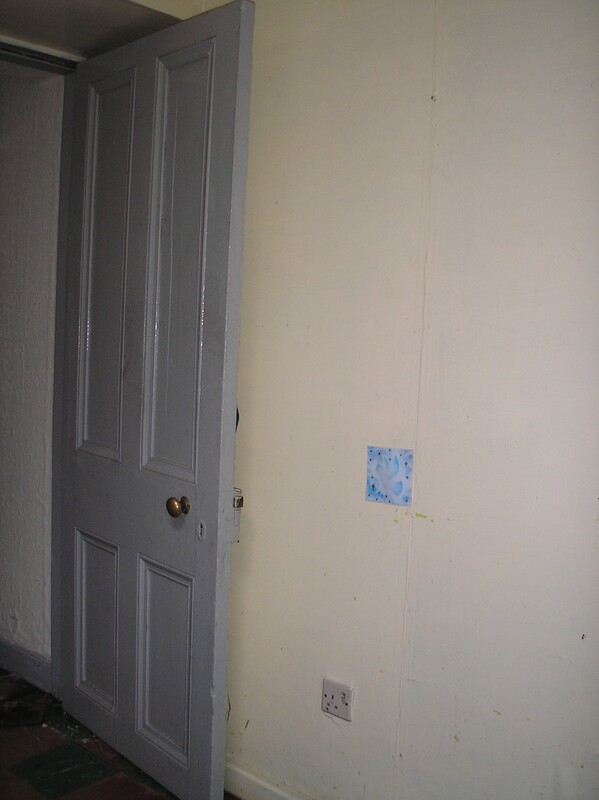 It is possible there has been some subsequent subdivision of this area, perhaps the bathroom wall to the S, which contains a modern door – a gyprock and studwork partition. The bath is offset to the W, sink and toilet. There are two principal ground floor rooms, one to the E and one to the W. The former is entered through an original Victorian door with later bakelite handle and box lock within. The door is of plank and batten construction with vertical beads at the joint. This E room seems to have been the principal interior. The existing fireplace is of stone construction trimmed with timber, of relatively recent date (about 30 years ago, installed by a man known as ‘Scottia’). It seems that the west wall of the E room is plank partition and apparently original. This is an interesting early feature. The room generally seems to be plank-lined with very simple low skirtings. To the NE there is a door into the secondary kitchen extension. 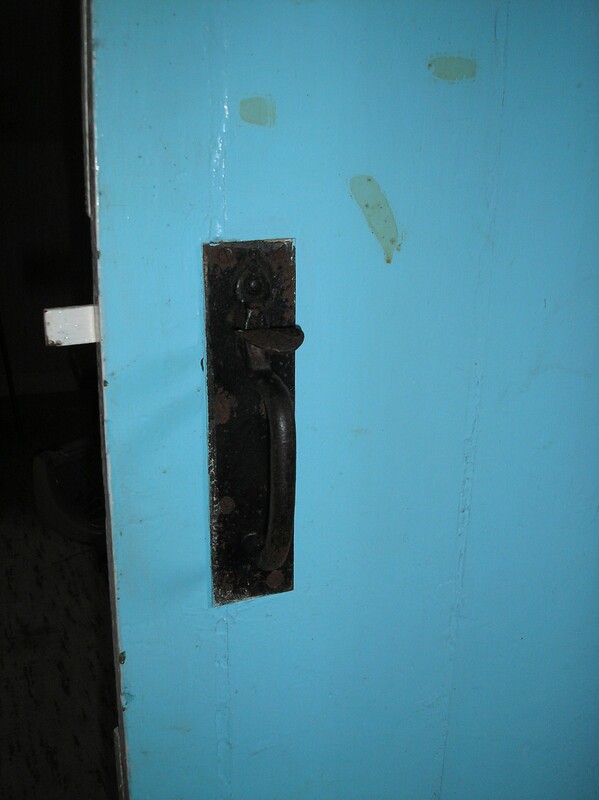 Within this there is a four-panelled Victorian door with planted mouldings on both sides, and brass handle with box lock within. The out-shot kitchen has a single window to the E. Its glazing bars are heavy, detailed with a chamfer. There is a skylight above. A small door leads into a partitioned area to S (a pantry). 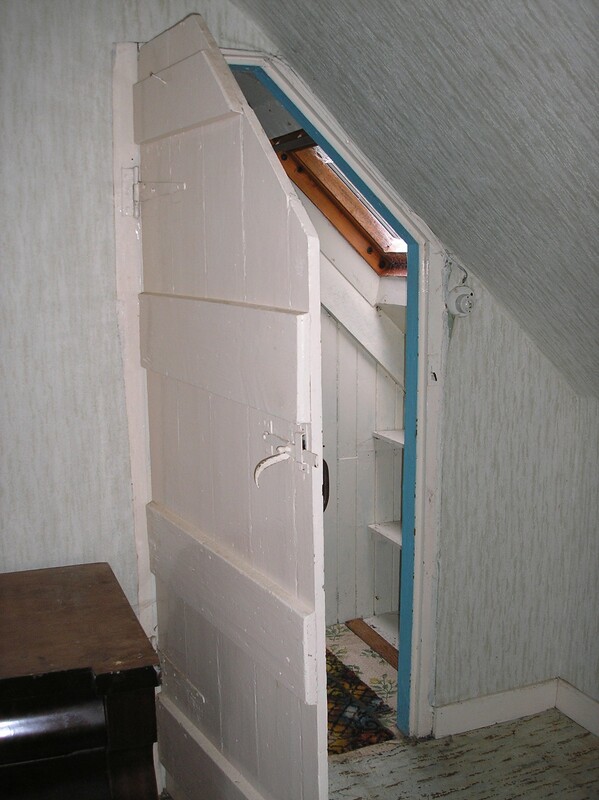 The pantry door itself appears to be unusually early and of notable non-vernacular quality – a pegged two-panelled door of late Georgian or Regency character. 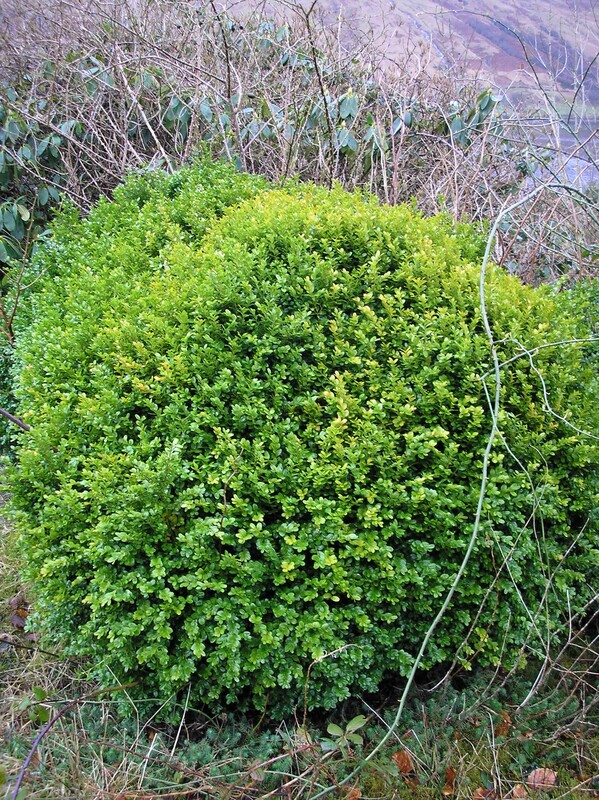 It perhaps originated from the predecessor of the present Ardkinglas House or an associated structure. The door has raised and fielded panels on one side (rear) and on the other there are small planted mouldings with planed mouldings around on both sides. Small brass handle and iron box lock within are secondary. The pantry within is lit by skylight and a small window to the S, off-set to the E. The latter is of four panes, an upper frame hinged within; this is detailed with a Victorian gothic moulding profile. Kitchen seems to be concrete floored. The structure is clearly secondary to the main building, built of brick that seem to be of late 19th or earlier 20th century date. As an addition this structure is a magpie’s nest of individual parts brought from elsewhere on the estate. The window in the E wall would be consistent with a early-mid 20th century date. The W ground floor room is fairly plainly appointed within. Walls were all lined out relatively recently with plasterboard. The door itself is early, of plank and batten construction. The internal partition to the E seems to have been heavily modified. There is a small early window in the rear side, upslope to the N. The fireplace in the centre of the W wall has now gone although evidence for a hearthstone survives, there's a cement patch where it had been. Elsewhere the flooring is wood. 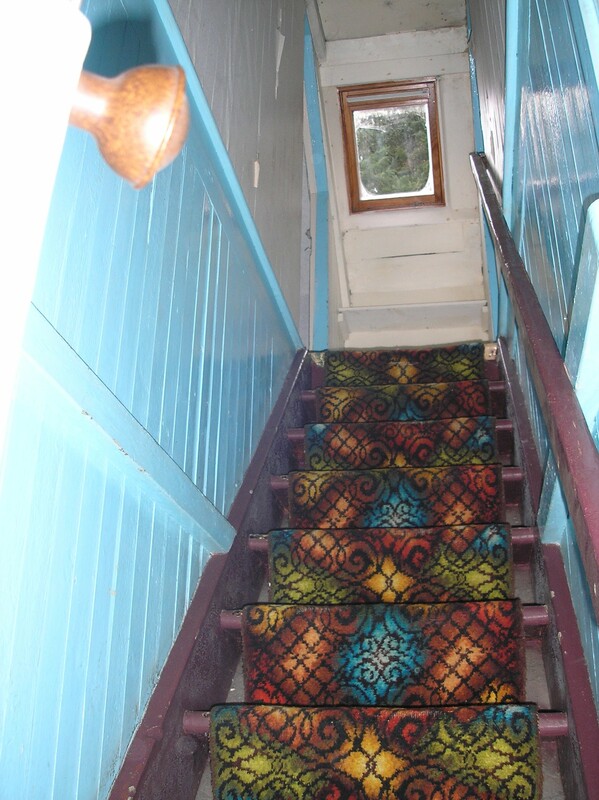 A straight stair running up, very steep and narrow, lined with wood. The latter is of narrow boarding below and 6” V-section tongue-in-groove boarding above. 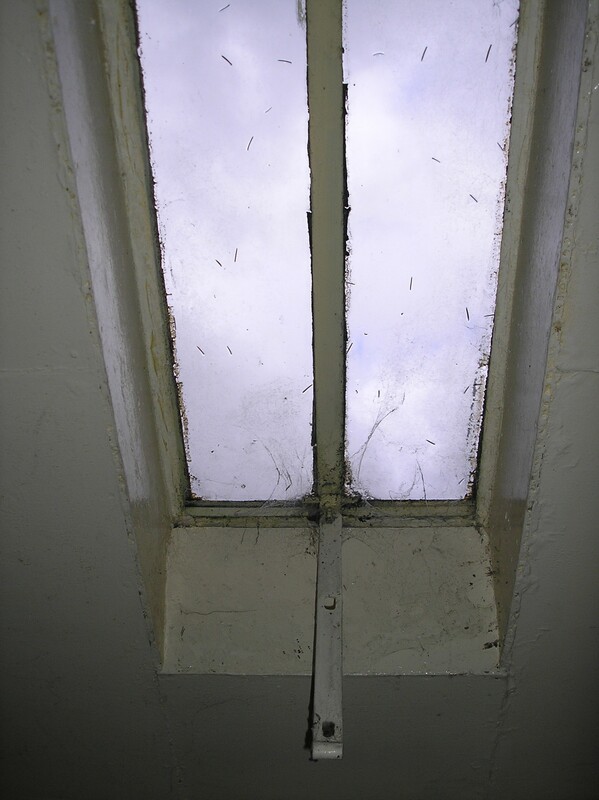 There is a small secondary window at the head of the stair. Here a very narrow landing vestibule leads into two bedrooms. The smaller one to the W contains no early features that can presently be seen, but the partition wall and lining may earlier beneath. To the E there is a much larger interior space; it is unclear whether this had bee partly colonized out of two former rooms or originally a single room. The entrances to both rooms retain early plank and batten doors with wrought iron latches. Both bedrooms have velux type skylights inserted. Wooden floors. Part of the ceiling beam structure visible within the coving. The house is deeply terraced back into the slope and to the rear there is a revetted sunken area. The byre at the W end is notably well preserved, and likely to be a relatively rare survival in the area at the beginning of the 21st century. It is of rubble construction, flush-pointed externally; there is much limewash and later over-painting. The entrance is to the E end of the S wall. 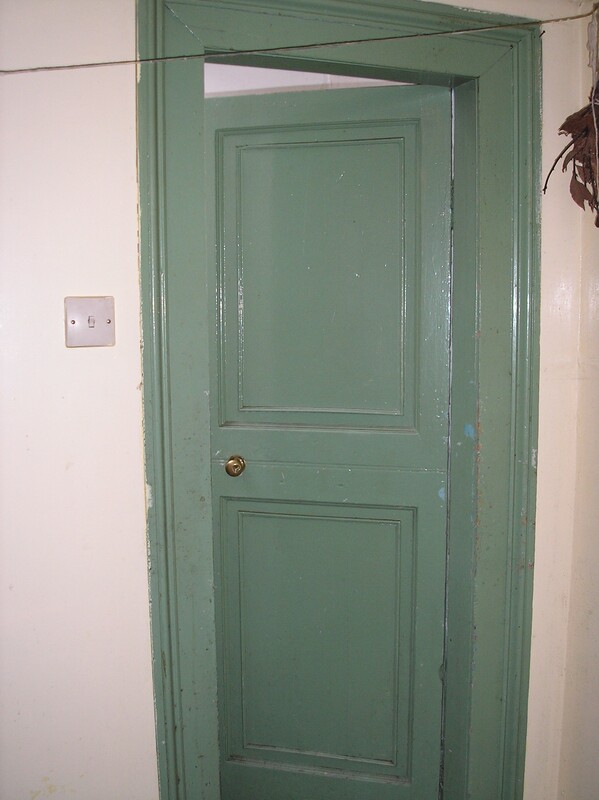 This contains a plank-and-batten door that seems 19th century or possibly somewhat later; this has vertical battens over the joints externally, all painted green. Internally this interior has seen relatively little restoration, it is of coarse rubble construction, limewashed throughout. Although there is a cement skim on the floor areas, it is clear that cobbling lies immediately beneath. Bisecting the interior there is a N/S aligned gulley drain that drains off to the S where there is a sump hole. This is all very well preserved still. 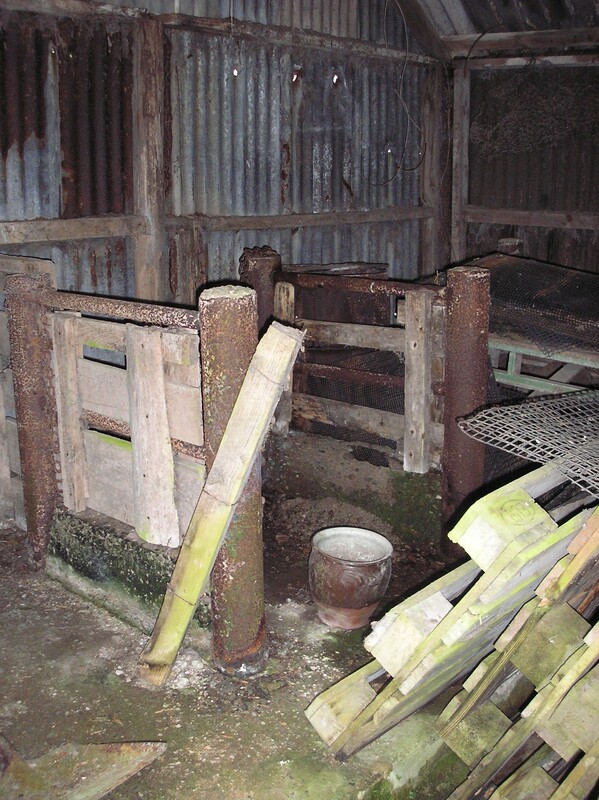 There is some evidence of internal fixtures and fittings, posts rising out of the concrete to the SW and NE. 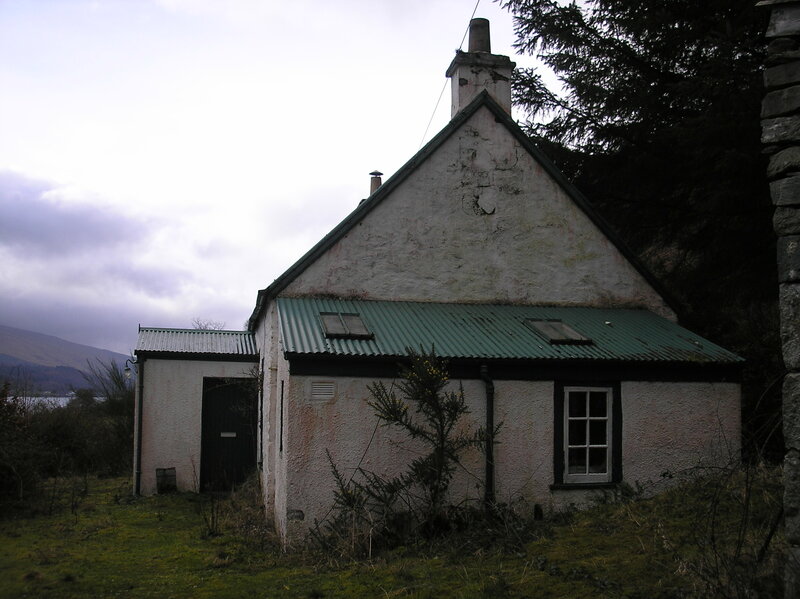 The byre building is masonry gabled to the W, abutting the cottage to the E. The roof structure is supported by three cross-frames; these frames and roof structure generallly may be secondary. The frames are simply constructed with sawn rectangular section timber, the principal rafters are lapped and nailed at the apex, and simply nailed, collar beams as well and a lower collar at the eastern frame. 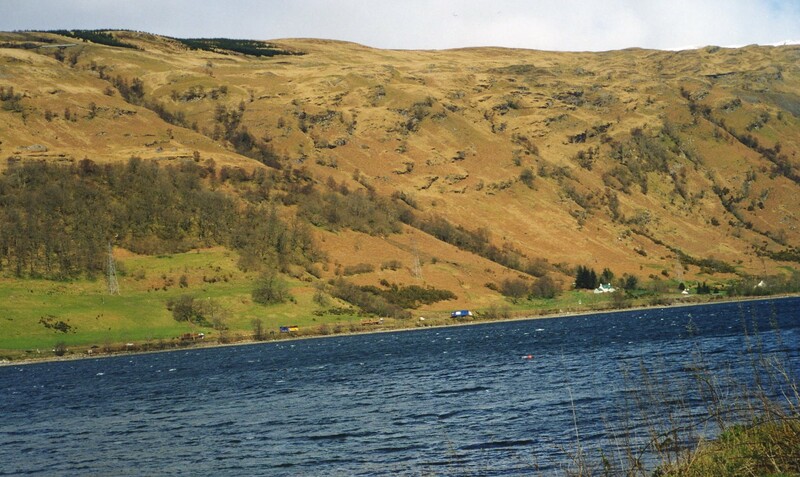 The two structures are set upon a small rise somewhat above and set back from the main road, with an elevated view over the loch. 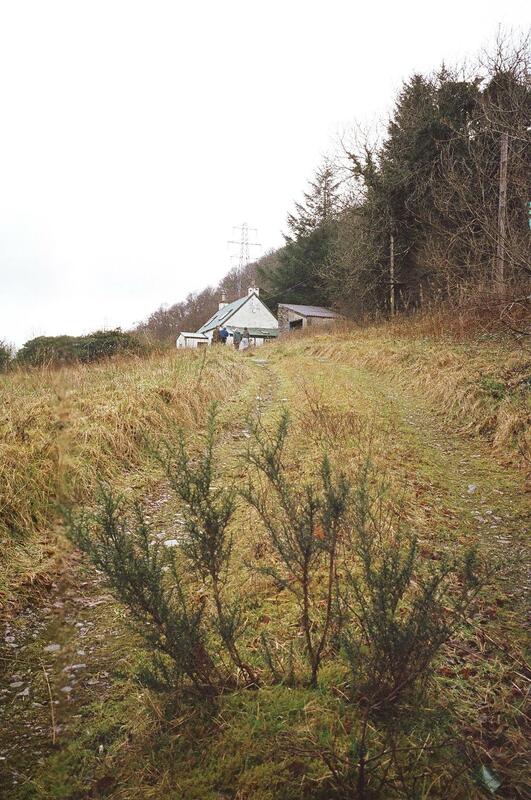 The site is accessed by a track rising steadily up from the E. A burn bounds the site further E. Behind, slightly up-slope from the gap between the two buildings, there stands a more recent tin shed. 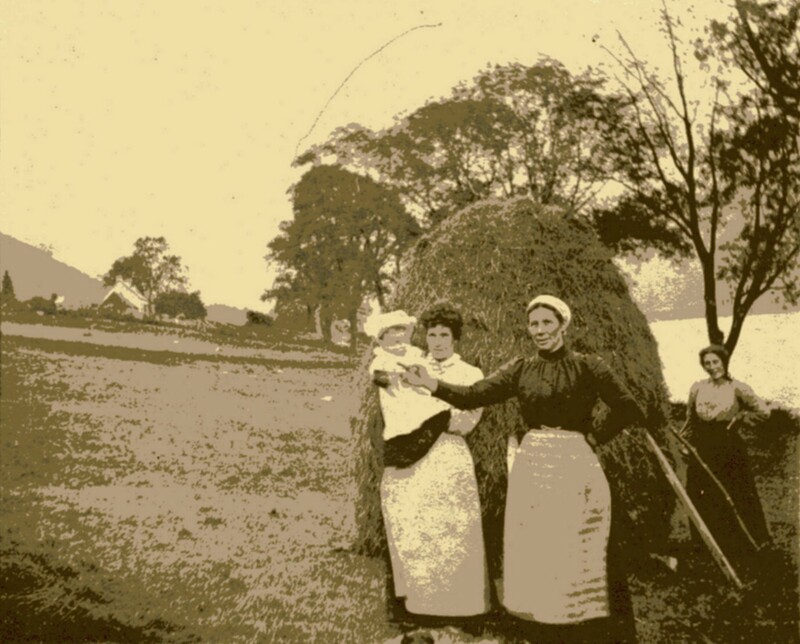 Owner of photograph of Kate Luke doing the washing.